Our second installment of Book Club saw us delve into self-deception, the American Dream and unsurprisingly a tonne of love literature. For Part Three - we asked some more of our favourite people to share with us their top titles to get lost in this winter. Are you a 20-something female who wants to discover possibly the most relatable book of your life? Read it. (Guys you’ll enjoy it too) Are you feeling a hankering to sob with tears and/or laughter? Read it. Can you hear me shouting?! READ IT. This book taught me how to look back on cringey, prefer-to-suppress-the-memories, coming-of-age moments of my life and laugh. It taught me that how I feel about those same memories will be different at 21, and 22, and 23, and 24, that that is so important, and that I’m probably never going to to totally figure out life or love and that’s ok. 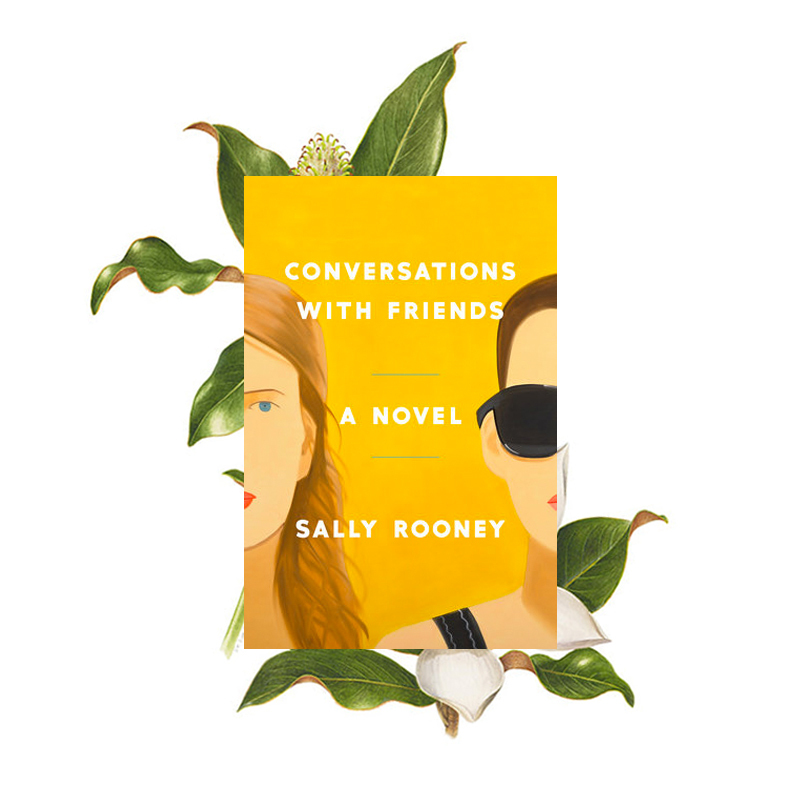 Most of all, (without giving too much away because you are GOING to read this and you are GOING to adore it), it reminded me that my female friendships are incredibly, incredibly special. It’s impossible to pick a favourite part, but a chapter called “Texts That My Flatmate India Has Let Me Send Off Her Phone Pretending to Be Her” had me hooting. Hilarious. To Bless the Space Between Us is a collection of articulate blessings for different seasons, that reminds us of our humanity. They give permission to be in different seasons of our life. In our highly curated world, we are unaccustomed to having the language to sit with grief, pain or even celebrations. We even replace heartfelt joy with emojis and our faces behind the screen usually do not reflect the number of ‘party emojis’ we punch out. It has transformed the way I sit with people during change or loss or joy and given me words for when I feel like I can't reduce the complexity of the situation. O'Donohue neither dismisses the feelings we have, nor victimises us. The Blessings are not to be truncated into bite-sized Instagram posts but to be reflected and chewed on over time. Rich in concepts and rich for the soul; much needed in our pre-packaged-answers era. One of your favourite passages? It’s been a long time since I’ve read some fiction (or something that didn’t have ‘love’ in the title) however earlier this year my kindle was stolen and I lost all the books I had been making my way through - so a lovely friend lent me her copy of this as a distraction and I devoured it in a day. The bio reads - ‘a menage a quatre in post-crash Dublin tests the bonds between close friends’ - and I really almost gave up then and there. But it came with such a strong recommendation I pushed through, and it was fascinating. Sally Rooney wonderfully captures the naivety of life as a young adult - the rabbit warrens of anxious thought patterns, the fabricated and slightly-narcissistic narratives, the tendency to hit self-destruct. The book is slow-burning and full of cognitive dissonance - her liberal characters rebuke the evils of capitalism while exploiting inherited wealth, she’s a feminist who embarks on an affair with an older, married man. As Rooney says - “armed with theory, they are kind of conscientious people who obviously don’t want to be oppressing each other. It takes them time to actually see past the superficial power disparity between them and try and negotiate what they are actually going through as individual people”. The whole thing is so acutely serious that you aren’t quite sure whether to laugh or cry, and reads as a warning against passivity - a bunch of people not-acting, and yet causing irrevocable damage everywhere they go. Anyone looking for a moody escape on a rainy Wednesday night, preferably with a wine and double coat TimTams. 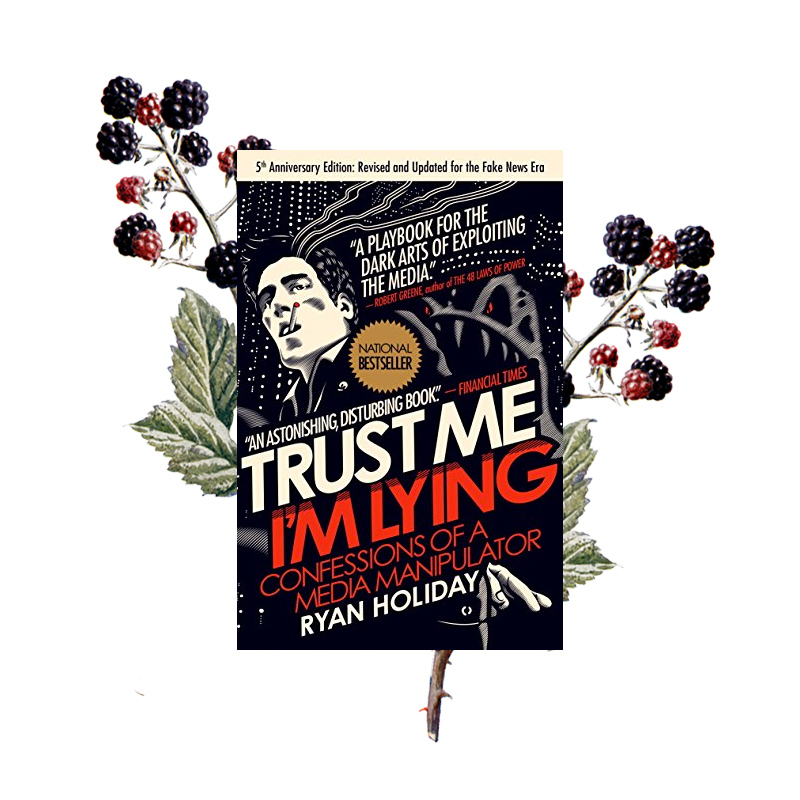 As head of PR for American Apparel, Ryan Holiday was no stranger to the power of publicity, as he puts it - “I’m paid to deceive. My job is to lie to the media so they can lie to you”. He spent years strategically ‘leaking’ information, spreading rumours and deliberately making people angry, because “the most powerful predictor of what spreads online is anger”. Ryan goes on to explain how this is disguised as news, and how easily we as individuals are exposed to all sorts of marketing. Since the beginning of the internet, there has been a paradigm shift in how the media generates its revenue, and we as the readers no longer pay for the content we consume. Nowadays, we expect to receive our news for free, and the media agencies and blogs we frequent are funded by ad revenue. The first to break the story is most likely likely to go viral, and the more *SHOCKING* the headline, the more you earn. Ryan took advantage of this loophole for a number of years by deliberately leaking information to the media for free publicity, or by even organising protests against the movies he’d been asked to promote – until his sense of morality kicked in. He came to realise that while he was making tens of millions for his clients, directly playing the media and taking advantage of their brashness in publishing stories; it was the consumers that were being affected and he didn’t want to keep that up. This book reminded me of the old adage 'nothing is free', and it has made me a lot more skeptical of believing headlines – I deliberately avoid clicking anything 'click-baity' and do all I can to not reward agencies that I don’t believe publish honest content. Even so, every now and then I get to the bottom of an article, and think “well that had nothing to do with the headline” and I guess in those instances they win. I just gave another 7 minutes of my life to a pointless article so some agency could make 0.07 cents in return for ad exposures. Nora Ephron is the genius behind You’ve Got Mail, Sleepless in Seattle, and the brilliant When Harry Met Sally. So if you have excellent taste in movies you’ll love this book and find yourself laughing out loud throughout. Also, if you have recently decided you hate men this book will probably serve you well. Why were you drawn to this book? After completing my first half marathon, I thought I better do another one before I moved out of the country I had been living in for four years. My training consisted of three runs before the 21km race and I bombed. I mean, my time wasn't as awful as it should have been but I mentally burnt all/any joy I had for running. So I picked up this highly recommended memoir on running translated by the beautiful Japanese writer, Haruki Murakami. I was dubious that a memoir on running could be good, let alone inspire me. Reading it, sounds as painful as the act of running itself. But I was pleasantly surprised. It's a delightful book and although an easy read, don't let that fool you to think there are not nuggets of wisdom scattered all throughout. "It’s pretty thin, the wall separating healthy confidence and unhealthy pride." Did you start running again? To be perfectly honest, I took up swimming instead.